“Hannibal trying to move over the Alps had a tremendous logistics burden, but it was nothing like the complexity we are dealing with now,” said Lt. Gen. William G. Webster, the commander of the United States Third Army, using one of the extravagant historical parallels that commanders have deployed for the occasion. He spoke at a military base in the Kuwaiti desert before a vast sandscape upon which were armored trucks that had been driven out of Iraq and were waiting to be junked, sent home or taken on to Kabul, Afghanistan. 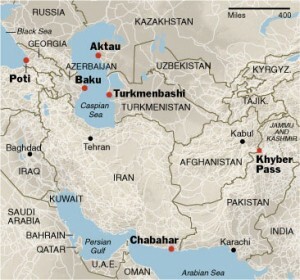 As I have pointed out an untold number of times, the standard route for supplies goes through the Pakistani port city of Karachi and ultimately through the Khyber pass and Torkham Crossing (a small amount, i.e., ten percent, goes through Chaman to the Kandahar AO), and is subject to attacks on our lines of logistics. But there is another experimental route. 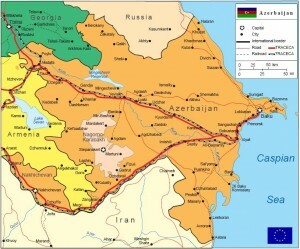 This is close to what I have recommended in It’s Time to Engage the Caucasus, except that the lines run through Kazakhstan and Uzbekistan rather than across the Caspian Sea through Turkmenistan (the reason isn’t clear, perhaps because of the human rights violations of the present regime in Turkmenistan and the unsavory characters with whom we would be dealing). Dealing with unsavory characters is a part of the process in this region of the world, and we should be engaging all of the Caucasus region, including Turkmenistan. Our preening moral outrage should be saved for the radical Mullahs in Iran and the way they treat their citizens. For the last few months we have been flying MATV’s (the new, tougher MRAPs) into Manas AB, Kyrgyzstan via commercial 747’s and transloading them onto C-17’s for delivery into Afghanistan (mainly Kandahar, Bagram and Camp Bastion). Due to ‘civic unrest’ Manas AB is now temporarily shut down to flying ops. To say this puts a crimp in the ‘logistics hose’ is an understatement. 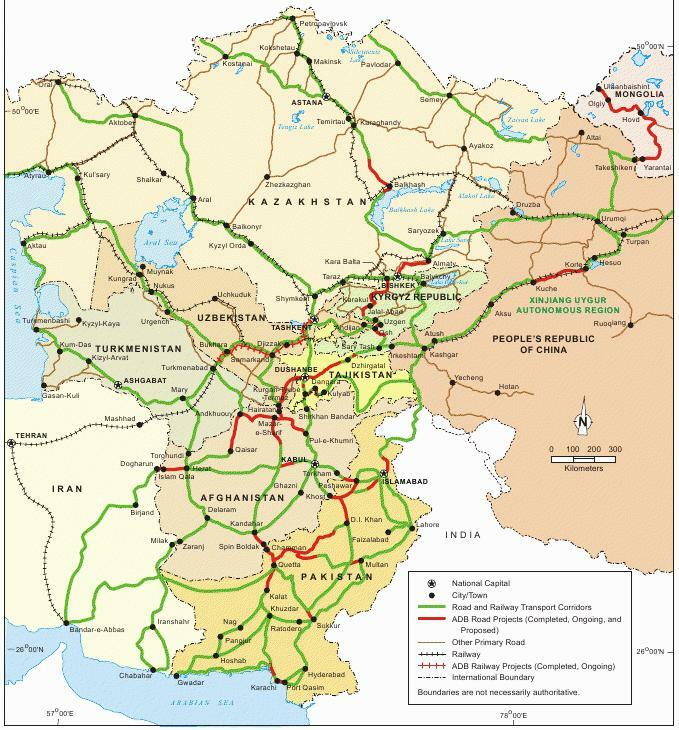 If the new gov’t can’t be convinced to play ball re: Manas we will be ‘challenged’ to say the least. . . .[I]t is also a significant mil passenger hub . . . .
We have put significant effort into the procurement of rights at Manas Air Base; the unrest in the region is problematic for logistics, and may go to prove that the choice to place such effort on Manas was wrong-headed. 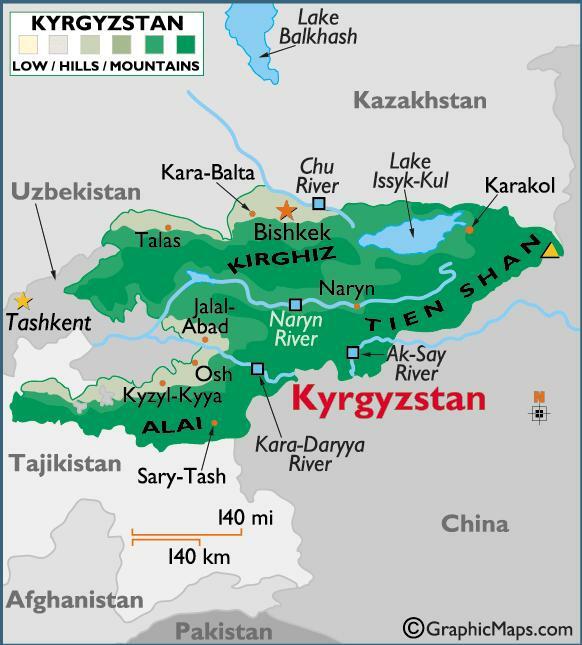 Kyrgyzstan is still significantly to the East of Afghanistan, and landlocked and beholden to some extent to the good will of Russia. 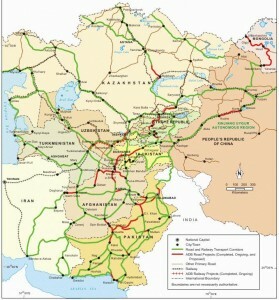 The current administration’s fear of truly engaging Azerbaijan, Georgia and Turkmenistan (this is the Russian “near-abroad”, and Russia has basing rights in Armenia) has prevented the full engagement of the region and the creation of more efficient and effective lines of logistics, and rights to additional air bases that could supply the campaign in Afghanistan. But we’re giving up on even more than that. 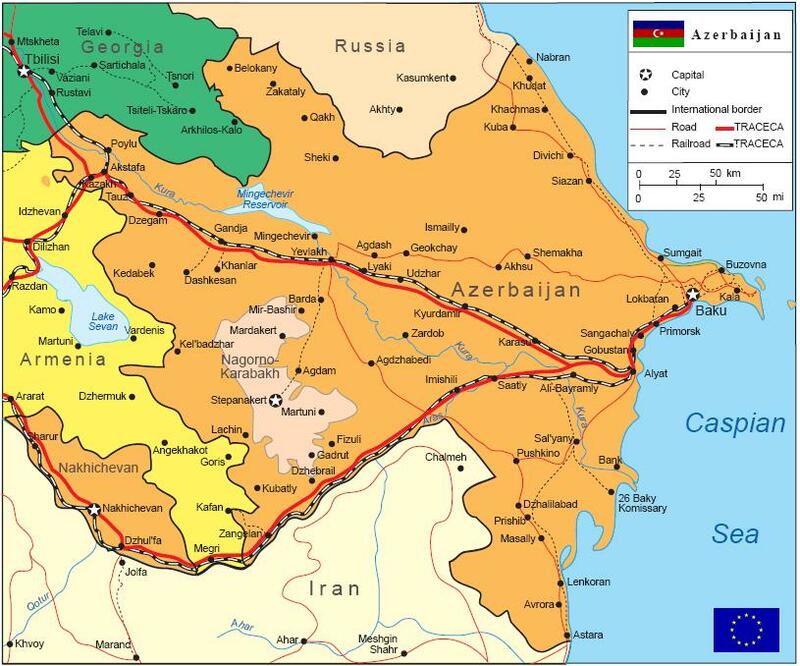 We are neglecting to engage in very real force projection in this region of the world, and making sad events like another Russian invasion of Georgia more likely. 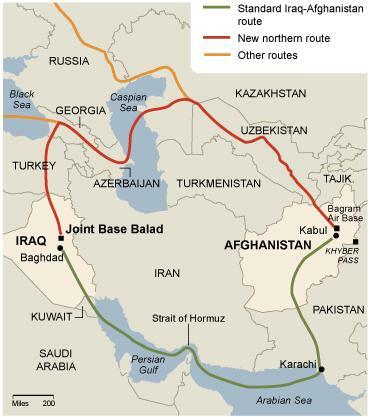 Taliban and al Qaeda Strategy in Pakistan and Afghanistan (in which I predicted the strategy of attacking lines of logistics through the Khyber Pass in March of 2008 – CENTCOM wasn’t listening).